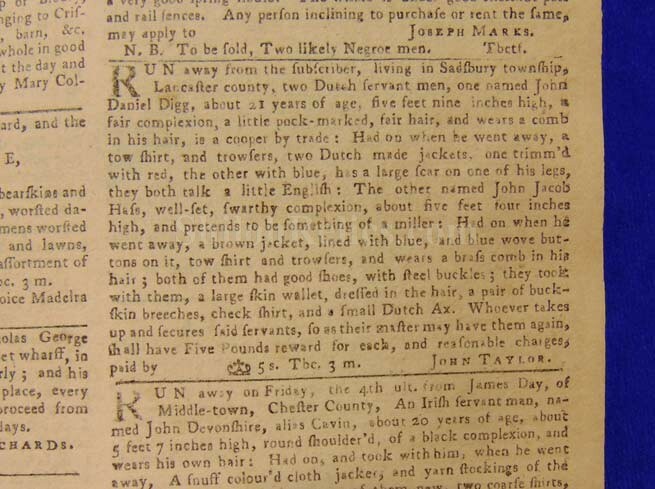 Here is a fantastic piece of history! 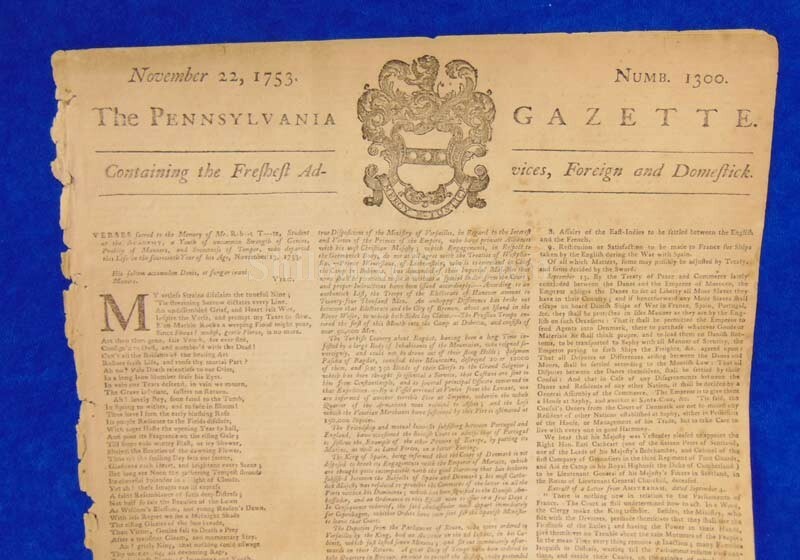 It is an original pre-Revolutionary War newspaper that was printed by one of our nation's Founding Fathers, Benjamin Franklin. 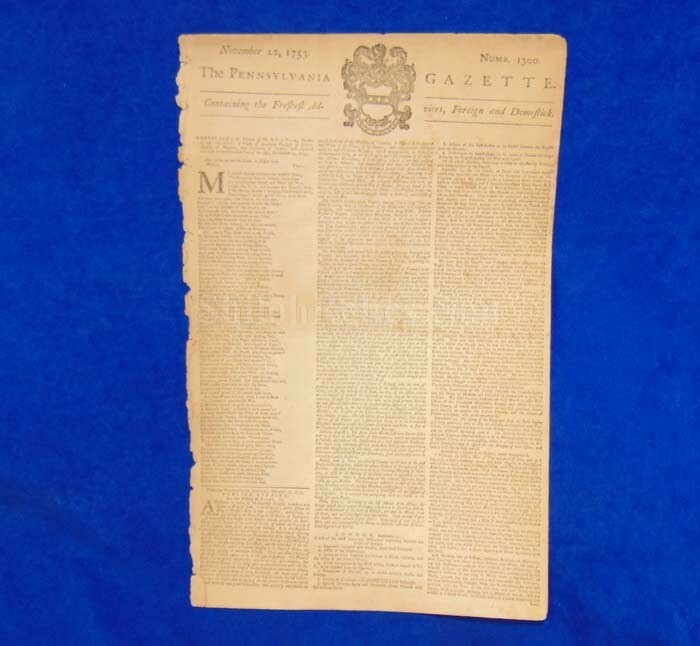 This is an original edition of the Pennsylvania Gazette. 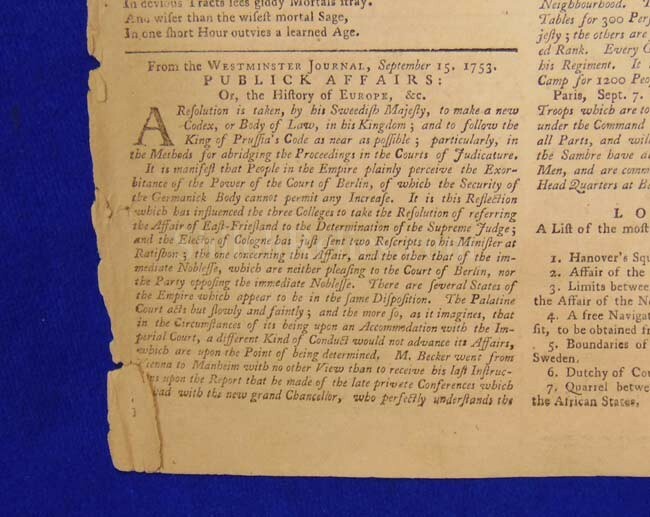 This paper was printed in Philadelphia, PA on November 22, 1753. 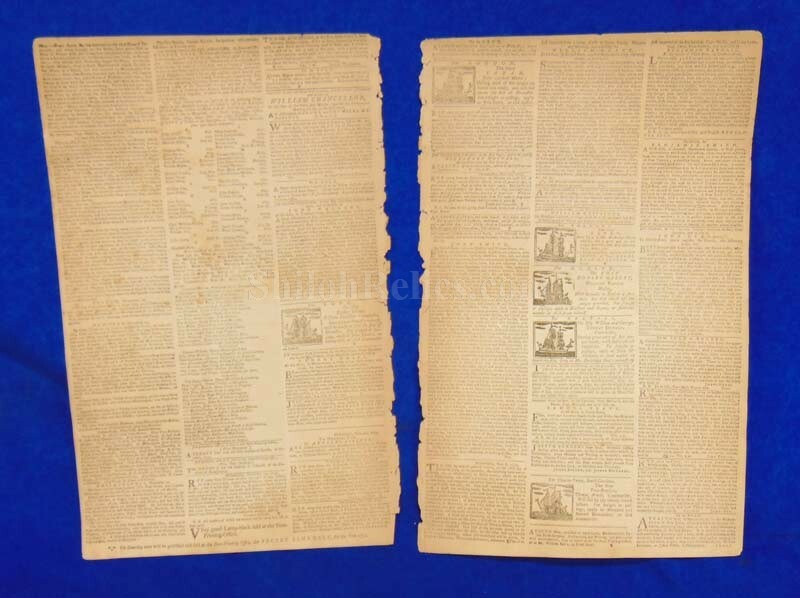 The paper is made up of 3 pages printed on front and back. 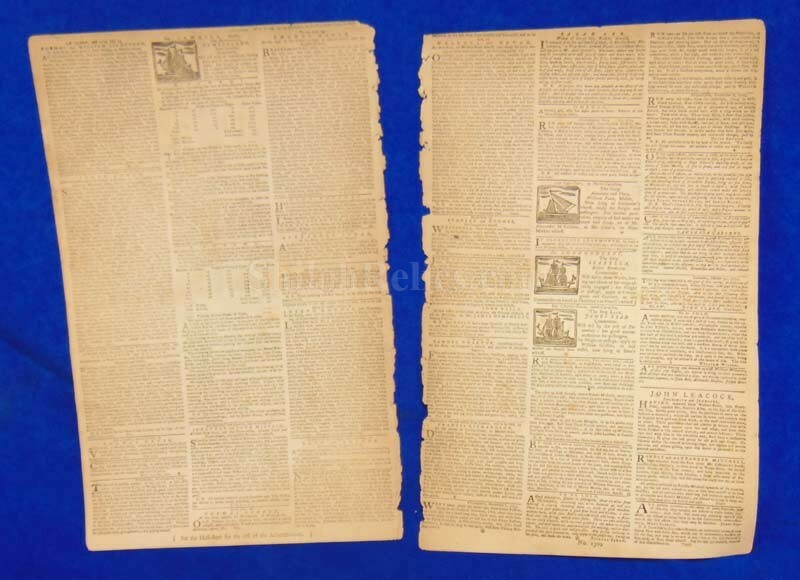 Each page ,easures 9-1/2 inches by 15 inches in overall size. 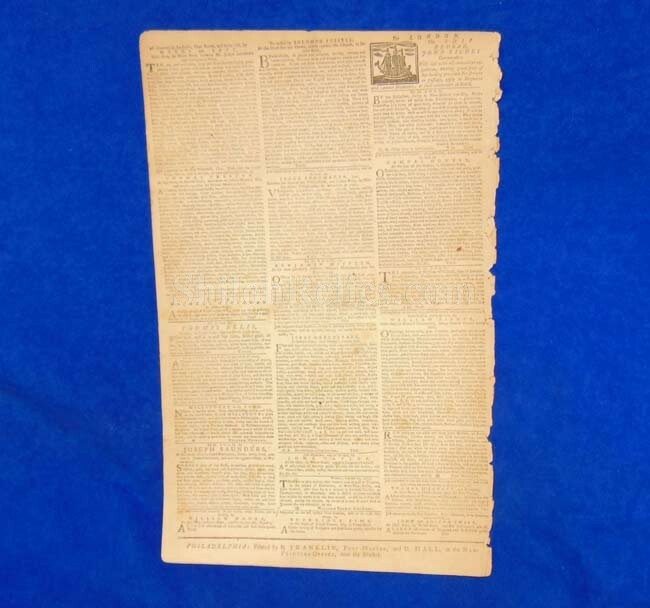 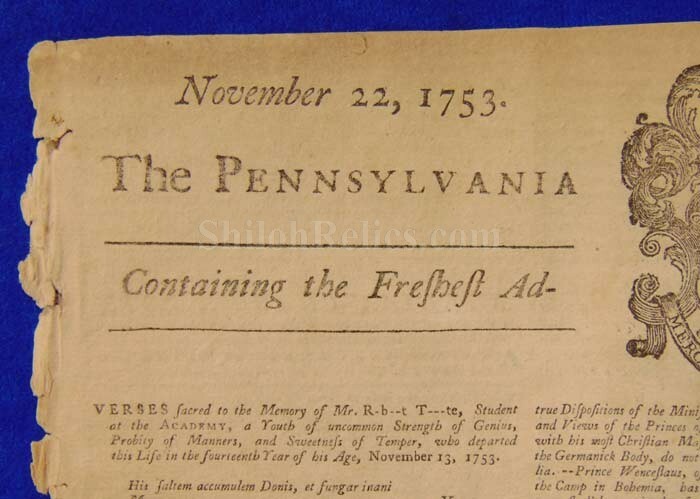 This fine Colonial American newspaper published by Benjamin Franklin and David Hall. 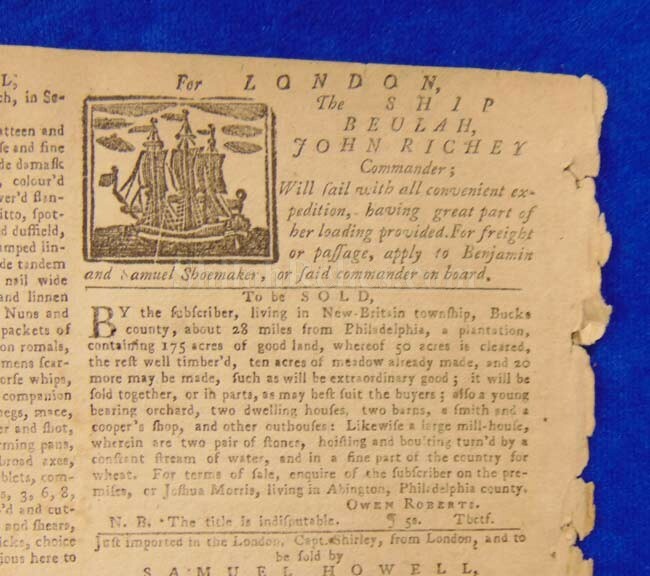 On the back page it proudly states the "B Franklin and D Hall” imprint at the bottom of the page. 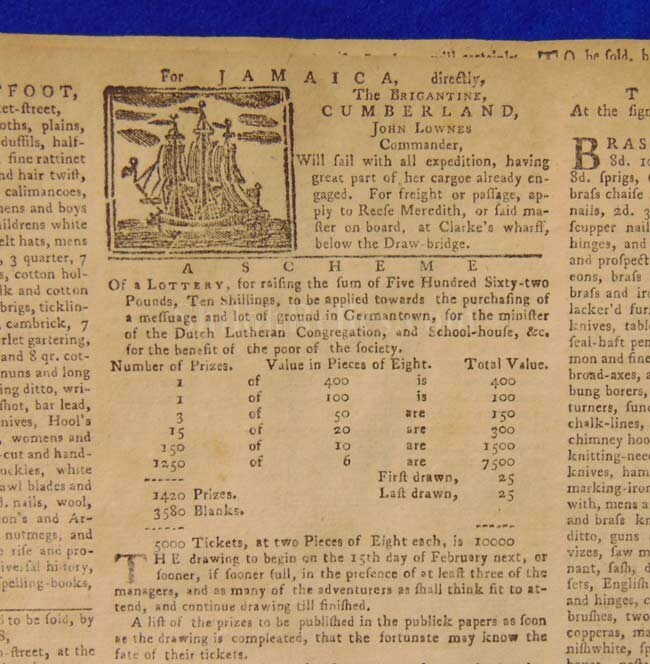 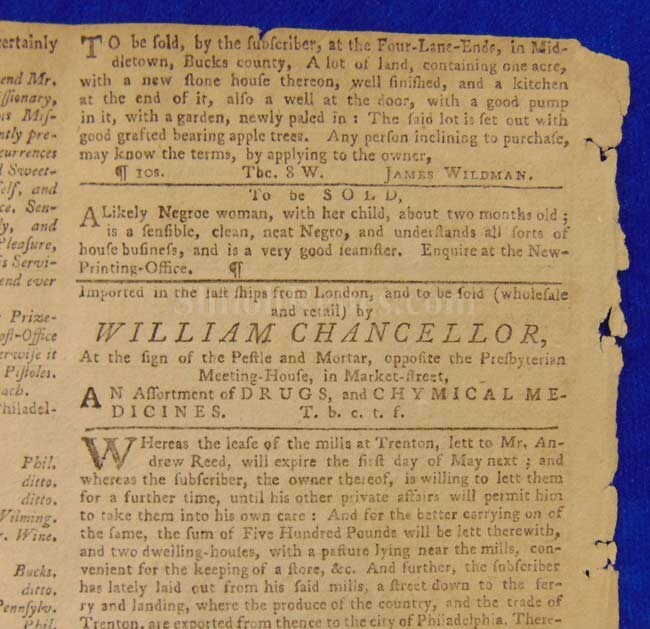 The issue includes two inside page advertisements for the "sale of Negroes” by the printer, Benjamin Franklin. 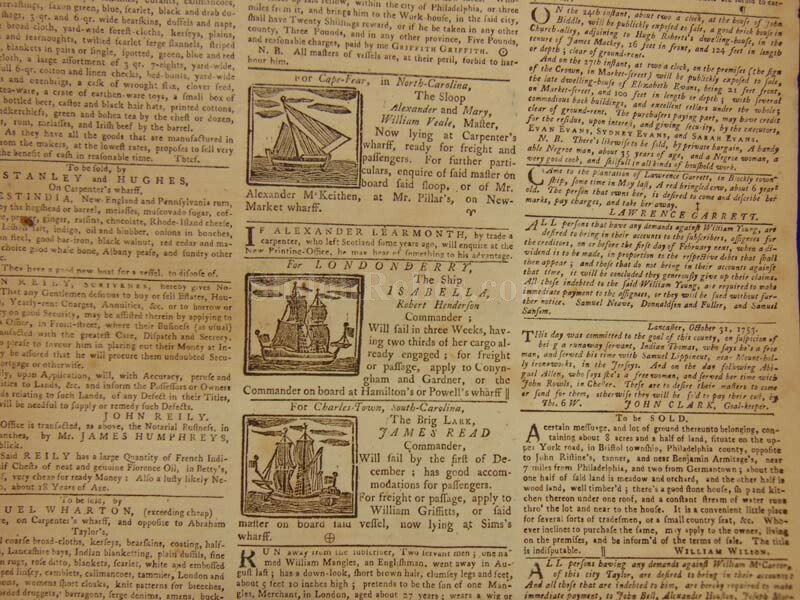 Advertisements for two Jewish merchant firms, "Levy and Franks” as well as "Meyer and Levy,” are also included. 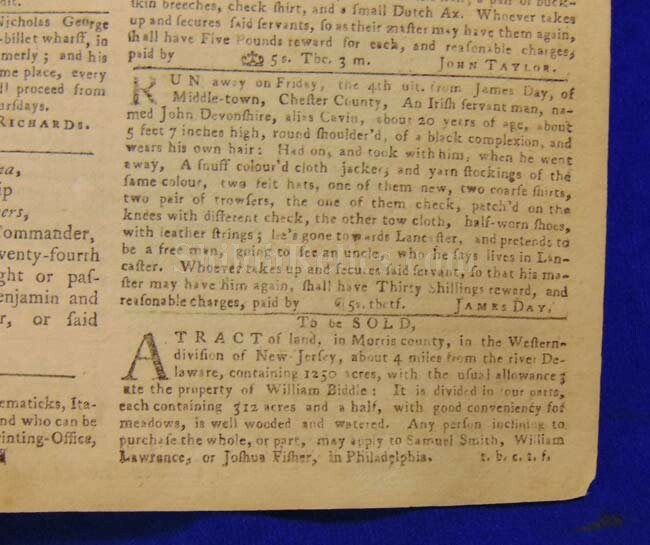 This is truly a fine, early Benjamin Franklin imprint with Judaica and African Americana content. 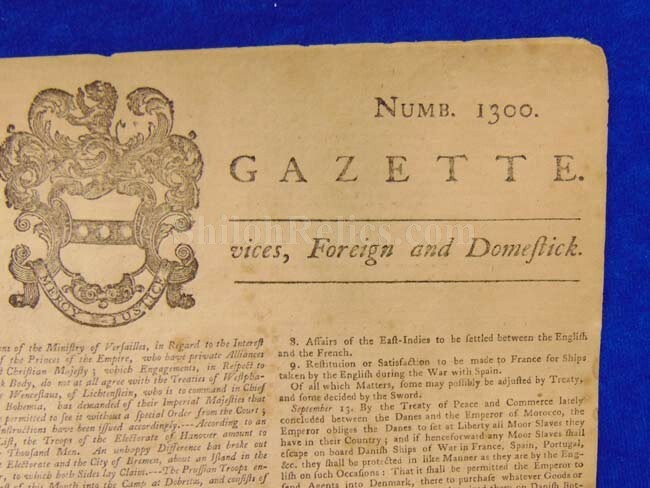 You don't often get a chance to own pieces printed by Franklin!